The Best Skincare Out There That I Can Definitely Rely On. The Skincare I Can Always Rely On. Admittedly, I haven’t been a good caretaker to my skin. Up until recently, when, hitting the 3-0, I realised this needed to change. I’d never been one to have or keep to a skincare routine. It just all seemed a bit excessive and pointless to me. However, my skin definitely isn’t what it used to be and I needed to change. 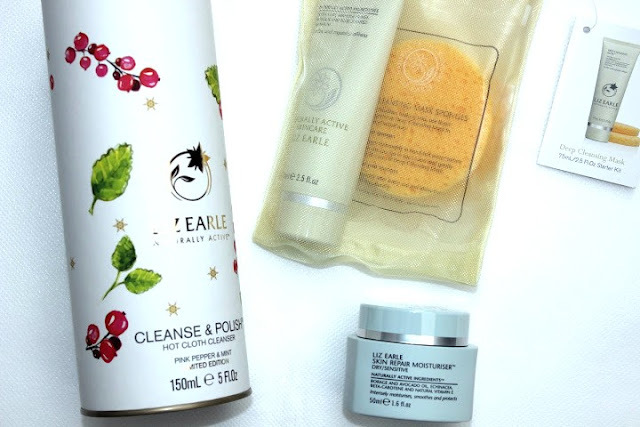 Liz Earle is a British brand founded in 1995. Through sourcing natural ingredients, they produce the most wonderful skincare products that can be used for any and every skin type. With their Hot Cloth Cleanser gaining repetitive awards in the beauty industry, their products really do speak for themselves and really are a product worthy of the ‘hype’. You could say, the best skincare out there. Along with skin care, Liz Earle also has a great range of hair care products, fragrances and a make-up range. Since 2013, I have tried and tested many of Liz Earle’s skincare products, as well as similar products by alternate companies. But, I always come back to Liz Earle, especially their Cleanse and Polish. The cleaner has such a luxurious feel to it and leaves the skin so soft. As well as the standard Cleanser, there always seems to be a limited edition available, as well as great choices around the festive period, so make sure you always check back! I can never help myself in regards to limited edition’s, so had to choose this Pink Pepper and Mint variation and it is amazing! 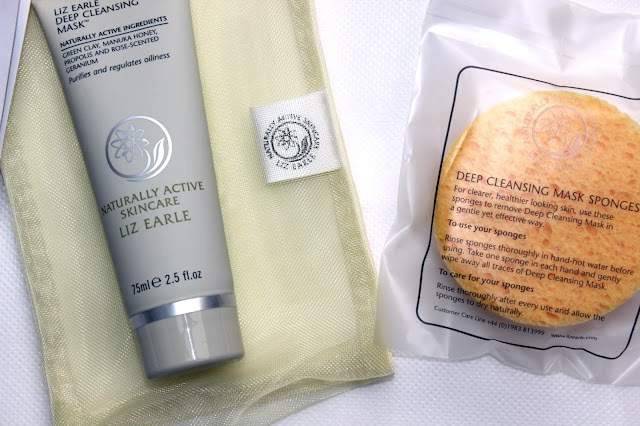 Again, Liz Earle’s Deep Cleansing Mask is a product I’ve previously tried, tested and loved. It’s a simple product to use and does leave your skin feeling clean and soft. However, I think my skin needs something a little more ‘deep’ like Liz’s ‘Gentle Face – Exfoliator‘, which has tiny beads to help buff the skin. I plan to add this to my basket on my next order. I believe Liz Earle to be fantastic value for money. Once signed up, keep an eye on your emails as offers like ‘Free Delivery’ are a common occurrence, plus offers on ‘Superskin essentials’ and ‘Free Gifts’ when you spend over a certain amount, which isn’t difficult to do! I promise! Go on, treat your skin, I promise it’s not just a hype and your skin will love you for it!